For Millennials, the scent of teen spirit was unarguably cucumber melon and could be found in many forms at the beloved mall destination: Bath & Body Works. 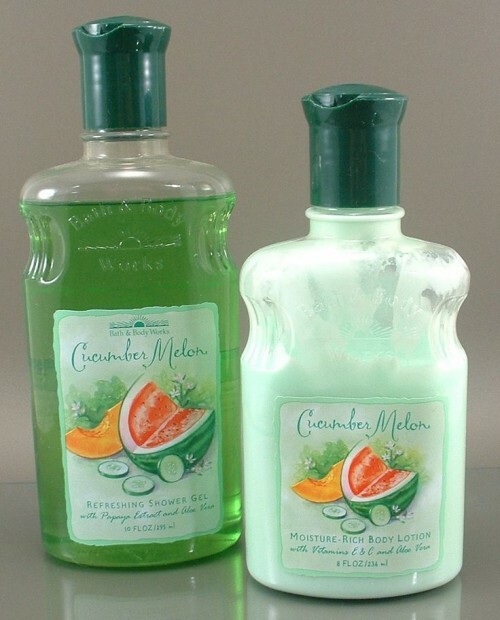 But the most popular iteration of this sweetly addictive scent was as a body wash. At about $11, the product was a bit more expensive than our teenage drugstore staples. Because of this, it was a frequent birthday gift amongst friends, possibly paired with the coordinating lotion and hand sanitizer. This hyper-perfumey formula isn’t exactly a star cleanser, so we rounded up the best body washes ( and easy on the fragrance!) to use instead. Here’s hoping you’ve moved on from cucumber melon! Sometimes, coffee just isn’t enough. For days when you need an extra boost, try Mio Skincare QuickStart Exhilarating Shower Gel ($22). It has zingy spearmint as well as guarana for some serious pep. Once you smell Kiehl’s Since 1851 ‘Grapefruit’ Bath & Shower Liquid Body Cleanser ($25), it’s easy to see why this product is constantly a best-seller for the brand. The grapefruit scent is refreshing but incredibly mild. Winter makes everyone’s skin super sensitive and a bit painful in that chafing sort of way. If you want a wash that is gentle but still more luxe than your run-of-the-mill drugstore brand, try Ahava Dead Sea Mineral Shower Gel ($18). Acqua Di Parma Blue Mediterraneo Ginepro di Sardegna Shower Gel ($51) will make you think, if only for a moment, that you are actually showering at a luxury resort in Sardinia instead of in your studio apartment in Brooklyn. Plus, there is literally nothing that can look more chic on the side of your bathtub. Fair warning, the scent is strong, so if you’re smell-sensitive, steer clear. Otherwise, indulge ASAP. Let’s face it, there are times when your skin needs a deeper cleaning. Burt’s Bees Peppermint & Rosemary Body Wash ($8) is ideal for post spin class or other sweat-inducing activities, when you need a serious scrub down. The peppermint gives this wash a cool (as in cool feeling, not cool looking), refreshing twist. Molton Brown Gingerlily Body Wash ($30) smells divine. It’s filled with hydrating ingredients, but the gentle aroma sets it apart from other similar washes. Plus, it lathers, like really lathers, so you feel clean… everywhere (if you know what we mean).